When asked by his disciple Zi Lu how to serve deities and gods, Confucius rebuked him: "We haven 't served Man enough, how could we serve deities?" Some Qigong practitioners like burning incense and kow-towing to deities. Not knowing much about the history of Qigong, they think that Qigong's roots are in Buddhist and Taoist religion. It is uue that Taoist classics contain a lot of Qigong literature, hut Taoism as a religion came into existence much later than Qigong. Taoist ideas as embodied in a religion first started in the form of the 'Five Pecks of Rice' and "Great Peace' sects. Founded by Zhang Daoling in the second century, the former sect spread in today's southern Shanxi and northern Sichuan provinces. The latter was founded by his contemporary Zhang Jue. leader of the Yellow Turban Rebellion, and gained a big following in today's Shandong. Hehei and Henan provinces. Tlie "Classic of the Great Peace' contains some passages on Qigong, but they are scattered and inscrutable and are of far less academic value than Can Tongji' compiled about the same time by Wei Boyang. who was not a Taoist believer and whose Taoist title of "Realised Man' was conferred on him posthumously. Actually. Qigong had already reached maturity many centuries earlier. In "primitive" times, the art of sorcery was practised in China but failed to develop into a fonnal religion. This can he attributed to the wide spread dissemination of the philosophies of Lao Zi and Confucius, both representatives of the "archivist culture*. bio Zi. the great Taoist philosopher, said "The Way begets one; one begets two; two begets three: and three begets ten thousand beings". Thus he did not believe in the omnipotence of gods over nature. It Is the belief of many scholars that the "Classic of the Way of Power", or bio Zi's "Five Thousand Words'. laid down precisely the theoretical basis for Qigong. When asked by his disciple Zi Lu how to serve deities and gods. Confucius rebuked him: "We haven't served Man enough, how could we serve deities?" Indeed, Confucius has won a good reputation for "never talking about weird things'. Some people hold that Qigong came from Buddhism, pointing out that Yoga, which is similar to Qigong in many respects, dates back thousands of years in India, the birthplace of Buddhism. It should be borne in mind that Gautama Buddha was older than Confucius, but younger than Lao Zi, and it was 500 years before his birth that Emperor Wen, father of the founder of the Western Zhou Dynasty (11th century to 771 BC), was said to have formed the hexagrams in the Book of Changes. 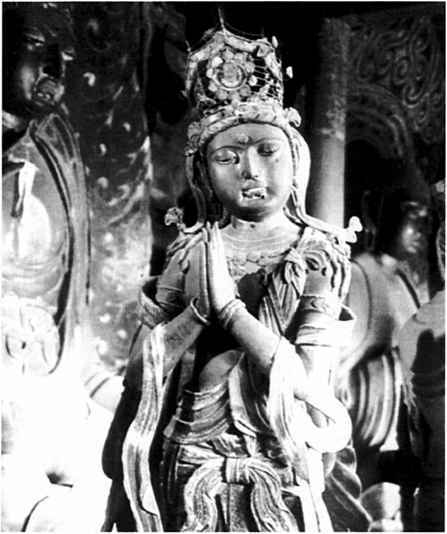 It was not until 65 or 67 AD that Buddhism was introduced into China. It did not thrive during the first six or seven centuries because its theory of samsara (the continuing cycle in which the same soul is repeatedly reborn) was incompatible with the predominant Confucian teachings on loyalty to the sovereign and filial piety. Buddhism took its deep roots in Chinese soil only after it was 'Sinicised' in the Northern and Southern Dynasties (420-581), when Qigong was already in full bloom. Of course, as a result of the exchanging of priests between China and India, Buddhism has advanced and enriched Qigong, but it is not its source. Pictures of Qigong exercises, such as 'Soaring Dragon' and 'Flying Bird', were unearthed in the 1970's from a tomb of the Western Han Dynasty (206 BC-24 AD) in Changsha, capital of Hunan Province. They were painted on silks about three or four hundred years before Taoism was founded as a religion and two hundred years before Buddhism was introduced into China. Two hundred years earlier, an essay in 45 words on the theory of Qigong was inscribed on a piece of jade, now kept by the Tianjin cultural department. Power' appeared still earlier, in which the discussions about Qigong have been regarded as its guiding principles up until today. "The B<x>k of Changes' has a longer history still, both as an important document for traditional Chinese medicine and for Qigong. Thus Qigong has an origin that may be traced back at least three thousand yeans, despite its later close relatioas with Buddhism and Taoism. Even supposing that Qigong had originated from Buddhism or Taoism, the practitioner should not feel compelled to perform religious rites. 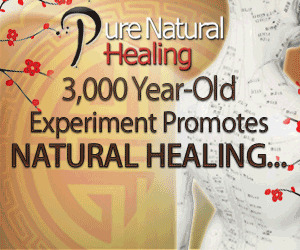 Traditional Chinese medicine is said to have a historical association with shamanism. The two began to separate during the Spring and Autumn Period (770-476 BC) as a result of scientific progress. Bian Que. a physician and Qigong master in the fifth century BC, refused to treat those who 'believed in shamanism but not in medicine". If he could despise 'dart;' practices in those ancient times, we should not feel obliged today to perform religious rites in practising Qigong today. This article marks the first in a series of articles looking at various aspects of Traditional Chinese Medicine. In particular we will examine the acupuncture channels or meridians and their related organs and functions. As Qigong practitioners we can benefit from a knowledge and understanding of the 'Jingluo' system. After all, we are always talking about meridians and acupuncture points and the flow of Qi through them. A Qigong master needs to have a detailed knowledge about these concepts in much the same way as an acupuncturist does, as this information is vital for treatment purposes. Not all of us want to study Traditional Chinese Medicine in depth, but for those interested in Qigong it can do no harm to have a basic knowledge of the fundamentals. A meridian is basically a pathway that carries Qi (and 'blood'; this being a separate concept of the Western blood) through the body. It is a translation of the term 'Jingluo' in Chinese, 'Jing' meaning to 'pass through' or 'thread through' and 'Luo' meaning something that connects or a 'network'. In other words, the Jingluo system is like a network of channels that links together the flow of energy in the body and all the major organs and substances, making the body an organic unit. The meridians move the Qi and the Blood, regulate Yin and Yang, moisten the tendons and bones, and benefit the joints. The meridian system is made up of Twelve Regular Meridians, which lead to the solid and hollow organs. Those joining the solid organs and running along the interior laterals of the body are called Yin channels, and those joining the hollow organs and going along the exterior laterals of the body are called Yang channels. The meridians form six pairs - a Yin and Yang channel according to the nature of the viscera and the routes they follow. O The Lung channel of hand Taiyin. O The Large Intestine channel of the hand Yangming. O The Triple Warmer channel of the hand Shaoyang. O The Small Intestine channel of the hand Taiyang. O The Spleen channel of foot Taivin. O The Liver channel of foot Jueyin. channels there are the Fight Fxtra Channels: the Du (hack mid-line) channel, the Ken (front mid-line) channel, the Chongchannel, the Dai (belt)channel, the Yinqiao channel, the Yangqiao channel . the Yinwei channel and the Yangwei channel. There are also many smaller, finer networks of minor meridians called luo' meridians. 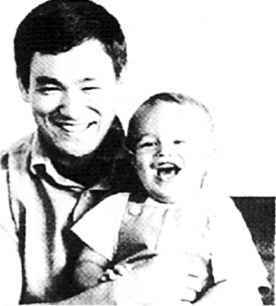 The news of Brandon Lee's death shocked the whole world, especially all those fans of his father Bruce Lee. At the time, newspapers and magazines often mentioned Brandon because of the movies he starred in, and many people were looking for his father's shadow in him. When I was little and living in Hong Kong, Bruce Lee was my hero. All the Hong Kong people liked him. He proved that small Chinese could be strong, and his fighting style showed that martial arts should be direct for fighting and not decoration. In particular, his muscular build impressed everyone, his back lcx)ked as if he had a pair of wings. His facial expressions and charisma no one can forget. During the 70's the world's attention was upon him: television, newspapers and magazines reported stories about him, anything with his name on it would sell out. At that moment many martial arts clubs became full over-night. To the martial arts world he was like a miracle. Suddenly, news of his death came! Nobody could believe it! Even now no one is sure how he died, it Ls still a secret. After twenty years his son has now died in a filming accident. This has made many people think about him and his father. It has been reported that before he died he said he felt the demon that had killed his father and said that it was now following him! In the end it seems it took his life! This certainly creates a mystical side to the death of Brandon Lee and connects it with his father's. On the other side of the world in Hong Kong, people say that his death was a result of hLs family's Fung Shui. Fung Shui - The name is getting more and more popular in the west. When you go to a book shop it's easy to find books on the subject. "Fung" means wind, "Shui" means water. Wind and water are the major elements that affect our lives, they are the basic energies that are connected to our environment. If your environment and house are not "good", this will affect your health and your life, even your finances and your marriage. A 'good' house has good energy; a 'bad' house has bad energy. In the west they have translated this to Geomancy. House Fung The grave shui'. so we of Lee Hoi must also have Chuen (left). •Yin House Next to it is the grave Z people of David Lee, a thirteen die we bury year old boy. them in a grave; this grave also has energy. This is Yin House Fung Shui, which will affect the deceased's off-spring. So, if the ancestor is buried in a place with good energy, it will bring good luck to his off-spring. Maybe one will become very famous or maybe very rich. So, traditionally, Fung Shui is very important to Chinese people. A Fung Shui master once informed Bruce Lee's family that their Yin House Fung Shui was not good. But they ignored him and later Bruce Lee died; now his son is dead too and even the marriages of Bruce's two brothers ended in divorce (they have since remarried). The Fung Shui master said that Bruce Lee's father, Lee Hoi Chuen, was buried in the wrong place. Lee Hoi Chuen was a very famous actor in the Chinese Opera and the movies, he was also very well known in Hong Kong. He died in the war when the Japanese bombed Canton. He was buried in the wrong place, as next to his grave is the grave of a young child. 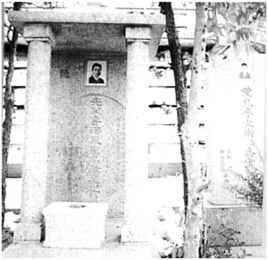 This grave would affect Lee Hoi Chuen's off-spring. He would have famous children but they would die young. The Fung Shui master suggested that they build a wall between the graves to block the energy from the other grave. However, the Lee family would not accept what he said. At this time, American spacemen had already landed on the moon, women could take a pill and stop having babies, you could go to the doctor and get a drug to reduce your fever, all the machines were getting faster and faster and you could go to the gym and build up the same muscles as Bruce Lee. Everything was science, science was god, science could give you everything you wanted. Who cared whether dead people's graves were good or bad. How could a dead body affect living people? People were more interested in which car was the fastest, which television had the best picture and which hi-fi had the best sound. People were more interested in possessions, in material things, and China was just in the heat of the Cultural Revolution. After Bruce Lee's death no one remembered the words of the Fung Shui master, but many stories about his death emerged. One said that his Chinese name had a problem. In Chinese he was called "Small Dragon". He lived in Kowloon Tong, Hong Kong. However Kowloon Tong means "The Pool of Nine Dragons". How could a small dragon live with nine dragons? 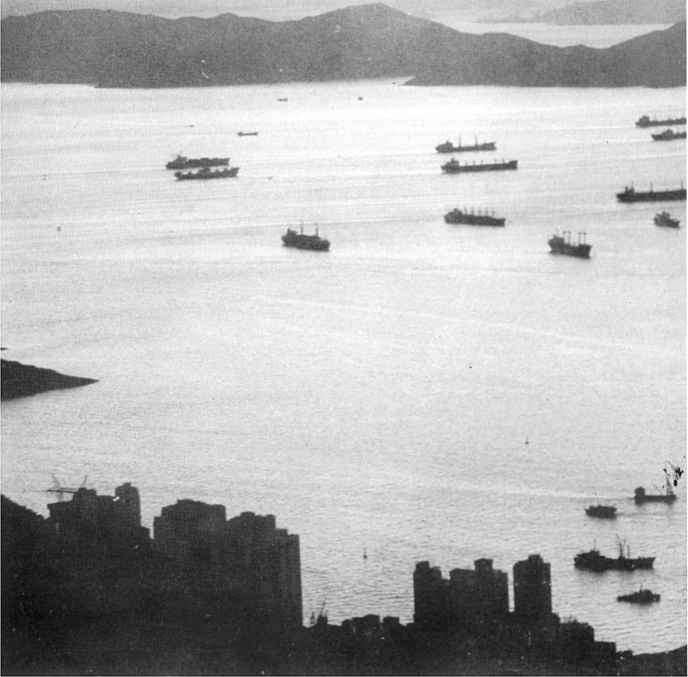 So in Hong Kong his development lasted only five years, then he died. Another was about his last film "Game of Death". This brought him bad luck because the name connected him with death. In the end he finished the film in the grave. Also, people found that the main entrance of his home was built up like a coffin. This is a symbol of bad luck and death. An early photograph of Bruce Lee and his son Brandon cracked by the air pressure. So they needed to change his coffin when he arrived in America. More bad luck. It seems many unlucky things were agaiast him. If you notice, before his death, on the movie "F.nter the Dragon" his face Ls very dark. That dark colour reflects the state of his health and tells us he was coming to the end. Chinese medicine tells us that this dark colour Ls caused by significant damage to the kidneys. The kidneys are very imponant organs. The)' can store our vital energy and Jing (sexual energy or sperm). If the kidneys become damaged you will develop back problems, suffer from tiredness, bags under the eyes and the face will turn a black colour. Many unhappy things happened to him. He worked very hard at his martial arts and philosophy, but he did not even see his mexst famous film "Enter the Dragon". It is very sad. The Chinese say: "Big trees will catch more wind". So with all the attention he drew, anything happening to him would be big. In traditional Chinese Fung Shui. when a person died the family had to find a g<xxl place to bury him. This would bring gcxxl luck to the off-spring, also the ancestor would have a peaceful rest. Like a tree that has strong and deep rtxrts, its fruit have to be big and sweet. Everything was science, science was god, science could give you everything you wanted." grave wrong will wrong with the Fung Shui bring the energy to the off-spring, damage their health, business, marriage, their lives. Therefore rich men, before they died, would already have found a Fung Shui master to clux>se a grave in a g<xxJ location. Tliis is however only Yin House Fung Shui. We must also consider the house we live in - Yang House Fung Shui. The house must be in good condition, everything must be in order. Ix- it the colours of the house, the directions of the dcxtrs and windows, the position of the bed and other furniture are very imponant. They need to be in the right place and they need the correct light, space and air. These are the basic elements of Fung Shui. You cannot miss one, otherwise it will affect your health, business and your fortunes. How you decorate your main entrance, bednxxn. dining nx>m. 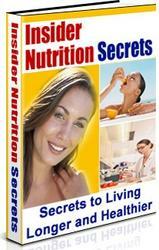 kitchen, toilet and garden, all will affect your health. Of course, your date of birth is connected to your Fung Shui and the number of your house must be fit for you. Every year the energy °f the universe changes so you must know how to move your furniture into different positions. Your house affects your health, your work, even your mentality, so it cannot Ix ignored. It Ls easy to see. People with gcxxl fortunes have houses in gcxxi condition. People who have lost their position, who's business has run down and who's close friends have left, their house must have bad Fling Shui. Are the 24 meridians of acupuncture correlated with the 24 internal energies of gods of taoism?